I’ve two oddball pieces in two collected editions by Pavement Books. 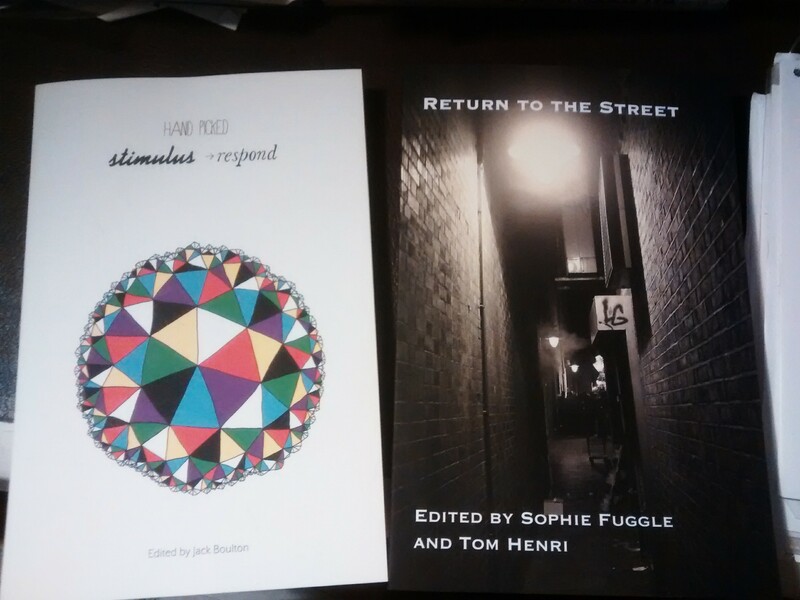 “On Paper” is a short story, included by Jack Boulton in Hand Picked: Stimulus Respond, and “We hate humans!” is an article on skinheads and the demonisation of working class violence in Return to the Street, edited by Sophie Fuggle and Tom Henri. There are far better pieces in both collections and I recommend a quick peek, and the other publications of this relatively new press. Posted on March 31, 2015 by JD Taylor	This entry was posted in Stories, Theory. Bookmark the permalink.